I will begin by saying…..I’m severely behind and my blog is suffering! The sickness bug has hit me hard, two weeks tomorrow hard to be exact. Fortunately it hasn’t been the flu, but it has been enough to say I’m sick of being sick! Sorry, I just realized I played the excuse card that my students try to use on a daily basis. Now that I have pleaded my case, I have what I promised to share with you. 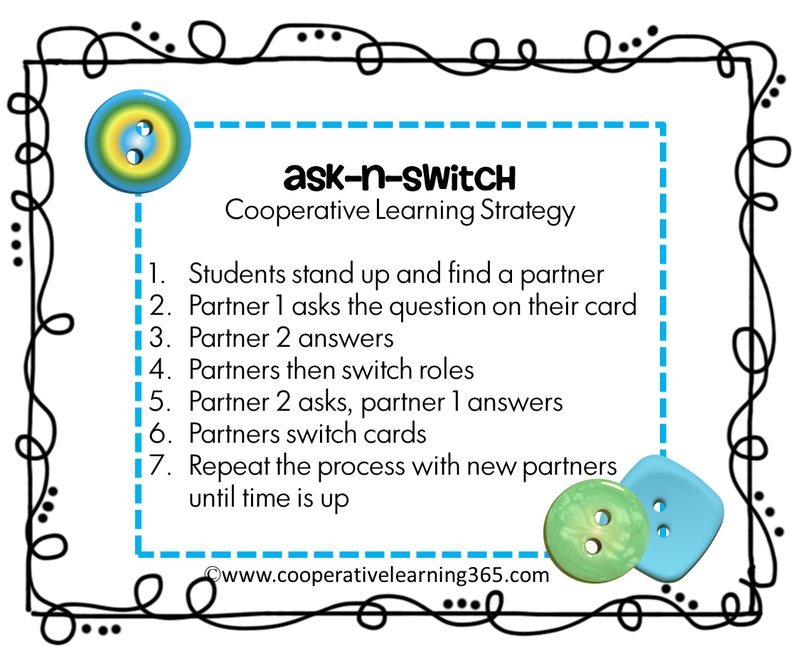 Another cooperative learning strategy that can be used with the ever so popular task cards. This is by far one of my favorites. 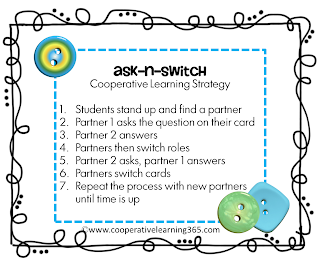 There are so many ways that this strategy can be used and task cards is just one of them. To sum up the strategy, each student begins with a card. With hands up, students find a partner, quiz each other with the card in their hand, check answers, then switch cards. The process continues until time is up. You will find complete directions to the strategy below. Here are other ways that I have used this strategy with my students. If you are looking for task cards aligned to Common Core Math, you can find my 32 sets HERE in my TpT store. Do you have a favorite way to use task cards?